Before opting for an International Roaming Plan offered by your operator, read this article. The information shared here will save you a lot of money and you can also travel across India without any hassle. If you are a UK (United Kingdom) Vodafone user and thinking of opting for Vodafone’s International travel plan for your next visit to India from UK , then you are about to dig a big hole in your pocket. International roaming plans prove to be very expensive and getting a local Sim Card after arriving in India can take a lot of time unlike UK where tourists can get pre-activated SIM cards off the shelf. You must be wondering what to do in such a situation. But don’t worry, there is a very elegant solution to this long standing problem. Trabug is India’s First Travel Phone, specially designed for foreign travellers coming to India and it also comes with a 4G SIM card. You can avail this service on rental basis and save more than 70% on International roaming. Trabug delivers and picks up the Trabug Pack from anywhere in India and that too at no extra cost. So if you are landing in Delhi but leaving from Mumbai, you can still opt for Trabug. Making Calls (30 minutes) 24 British Pounds All in just 27.8 British Pounds and a high-end Smartphone too. 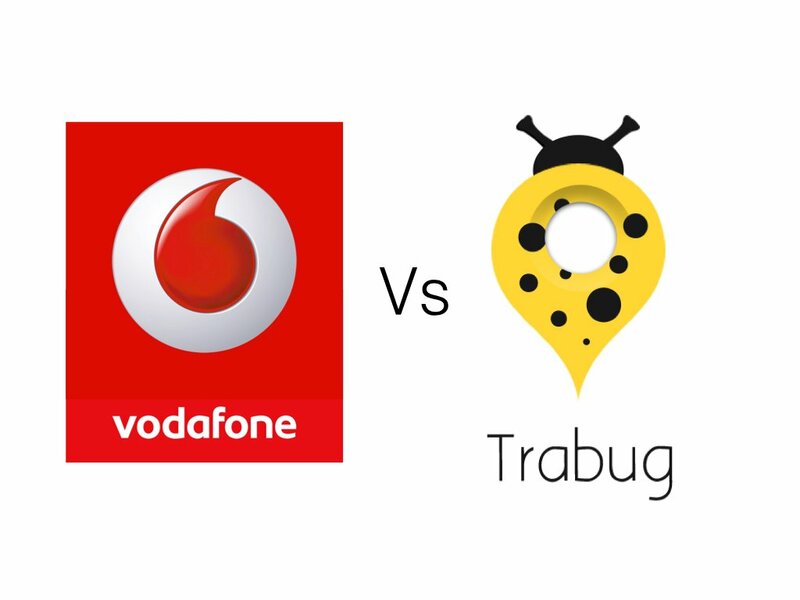 It is very clear from the above comparison that Trabug is more economical than Vodafone UK’s International Roaming Plan and you can get Data (internet) across India, on the go, at cheaper rates. So go book Trabug for your next visit to India.